The recently concluded Apple WWDC event saw some latest announcements from the Apple, of which the most anticipated announcement was the new iOS 12. The iOS 12 does not bring the all-new iOS to your iPhone. Sorry to disappoint if you were expecting an all-new design overhaul, but Apple has rather tried to include a bunch of new features that the iOS 11.4 users were asking for a long time. We got our hands on the latest iOS 12 and here are the best new features of iOS 12. Do note that the iOS 12 is still in beta version, so you can expect the iOS 12 to be more fluid and responsive when Apple officially releases the iOS 12 for the iPhone and iPad. After the controversial ” Apple Updates makes older iPhones slow” news, the Apple seems to have taken the criticism seriously and made the necessary improvements with the iOS 12. The older version of iPhones like the iPhone SE and iPhone 5S now feels snappier than ever with the iOS 12. The animation looks and works great, and you can switch between the apps without any noticeable lag. The apps open faster than it did on the iOS 11. Even swiping through multitasking switch does not feel laggy. If you own both Android and iOS devices, you would know that the Android supports grouped notification feature which was missing on the Apple device till iOS 11.4. Apple has finally added the grouped notification feature to the iOS 12. 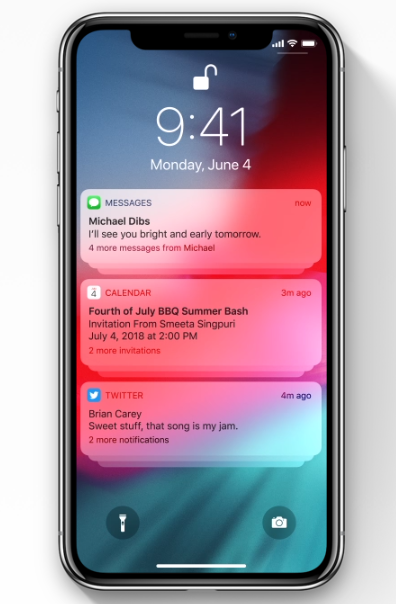 The grouped notifications on iOS 12 show all the notifications from one app in a group instead of showing notifications separately on the lock screen. Tap on a group of notification to expand all the notifications and then decide which notification needs your attention one by one. Once done, you can collapse the notification group from either top or bottom of the notification list. The Group notification is a little buggy and does not work all the time with iMessages, but we expect it to work properly with the stable iOS 12 release. The iOS 12 brings the trackpad mode feature on the non-3D touch devices such as the iPhone SE. The Trackpad mode allows you to move the cursor precisely on the apps and make text selection. To be able to use Trackpad mode all you have to do is open an app, long press the space bar and that will enable trackpad mode. The Apple iPhone X came with the animoji feature exclusively for iPhone X, and with the release of iOS 12, Apple has added new features to the animoji. 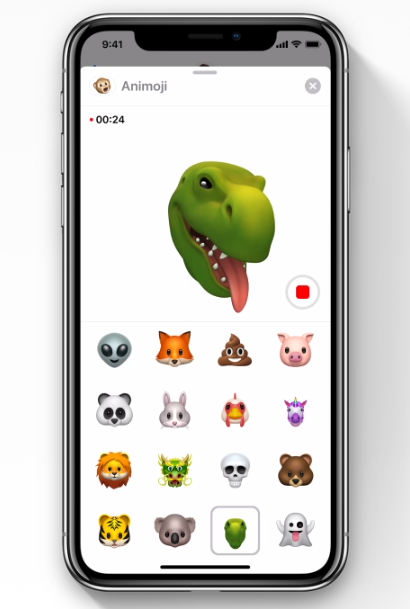 The iOS 12 running iPhone X user now get a couple of new animoji that also comes with tongue detection support similar to Snapchat animoji which was missing in the last update. There is new Memoji feature that allows you to create an unlimited number of animoji of yourself with different style and character. 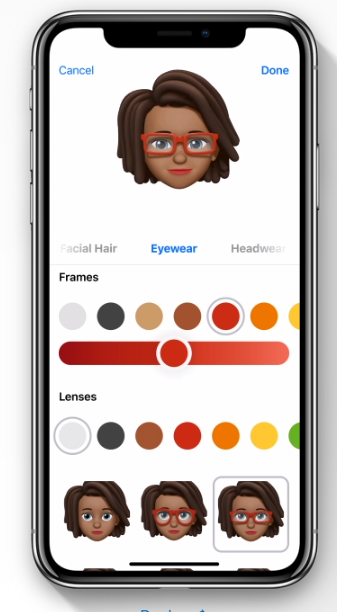 You can also customize the memoji with a new hairstyle, eyebrows shape, eyewear, etc. The new animoji also works on the FaceTime app that allows you to impose the animoji on your body while using the FaceTime app. Also, you can now make animoji videos up to 30 secs that also works on iMessage. 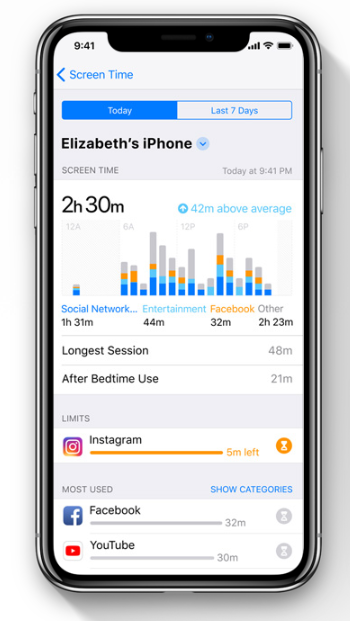 Screen Time is the new feature in iOS 12 that shows the user how many hours any of the apps has been used during the day. It allows you find the apps that you may have become addicted to and spending way too much time using it. And if you want to cut down the usage time, you can set the time limits for that app. So, if you use Twitter or Facebook for more than 2 hours a day and you want to use it for 1 hour a day, you can set the time limit. Once you have used the app for 1 hour, the screen time won’t let you use the app for the rest of the day and show Time Limit message. You can obviously use the app even after the set time limit by tapping the button at the bottom of the app screen, but at least you get to know how much time you have spent using the app and take actions accordingly. The app can also work as a parental control tool where you can monitor your kids’ apps and games usage time without having to keep an eye on them physically. One of the most useful and life-saving features the Apple iOS 12 comes with is the automatic location sharing for 911 calls. Apple has collaborated with Rapidsos to share HELO data with 911 centers. HELO (Hybridized Emergency Location) uses cellular towers, GPS, and phone hardware to send most accurate location data to 911 emergency units. This would allow the 911 units to respond quickly. You can read more about the feature on Apple‘s official website. 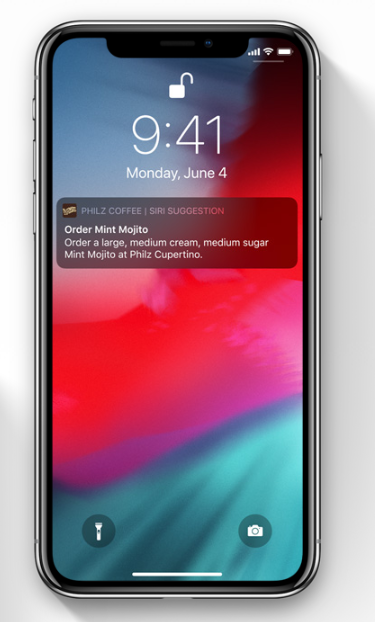 Even though Apple did not announce any significant change to the voice assistant Siri, a new app called Siri Shortcuts allows the user to open any Siri supported app using their preferred phrase. Basically, Siri used to work on predefined phrases until now, but with iOS 12, the Siri Shortcuts allows you to add your own phrases to open any supported app or perform a particular task like calling your Wife, ordering a coffee from an app or put the phone in DND mode. Siri Shortcuts is also compatible with HomePod and watchOS. The Siri Shortcuts will be available as an app for better utilization of the feature, but the app is not available yet on App Store. The app will be availble once Apple releases the stable version of iOS 12 to the public. For now, if you are on the iOS 12 beta version, you can access Siri Shortcuts from the settings. When you sign up for a new service or app, you may get a security code to enter and verify the mobile number. On Android, the security code need not be entered manually, but the app will auto-detect the received security code and auto-fill in the required field. The autofill security code feature has now made its way to the iOS devices with iOS 12. Whenever you receive a security code on your iOS 12 device, the app will automatically fill in the received security code removing the hassle of entering the code manually all the time. On iPhone X you needed to tap and hold the app before you can force close it from the multitasking window. Now with iOS 12 force closing the app is much simpler. All you have to do is open the multitasking window and Swipe up the app that you want to force close. The iOS 12 comes with a brand new app built-in called Measure app. As the name suggests, the app allows the users to measure the object using the iPhone’s camera. The app works great with the closer objects providing accurate measurements. What didn’t change in iOS 12? There are a lot of improvements that we had expected Apple to make including an improved Siri, which did not happen except for the useful Siri Shortcut feature. The Volume UI again is something that is unchanged despite being one of the most asked changes in the previous iOS version. Nevertheless, we may see a few additional features when the stable version of iOS 12 is released officially on iTunes and OTA. There you have the best new features of iOS 12 for iPhone X and older iPhones. The iOS 12 may not be a major overhaul but it does bring some good additional features to the table. The no drastic change in iOS 12 might be because Apple tried to improve existing feature rather than add a bunch of new features with a newly designed OS. So, which of the iOS 12 feature you like the most? Do let us know in the comments.